The third largest country in the Euro-Zone will be ruled since June by the populists and the radical Right. The promised change is limited – except in the case of Migration. Bernd Riegert with a balance sheet. In Italy, the populist government of the “Five star movement” and the radical right-wing “Lega” according to the party colors is called the “yellow-green” coalition. The newspaper “La Repubblica” from the “Yellow-Green” 100 days after taking office, a rather modest testimony. “The election promises announcements” remained the newspaper’s headline. Luigi di Maio, the head of the Five star, is Minister for the economy growth and work. Matteo Salvini, leader of Lega, is the Minister of the interior. Outside Italy was mainly perceived Salvini and his dog turn in the migration policy. He closed the ports for private rescue organizations, the fishing, had Shipwrecked in the Mediterranean. 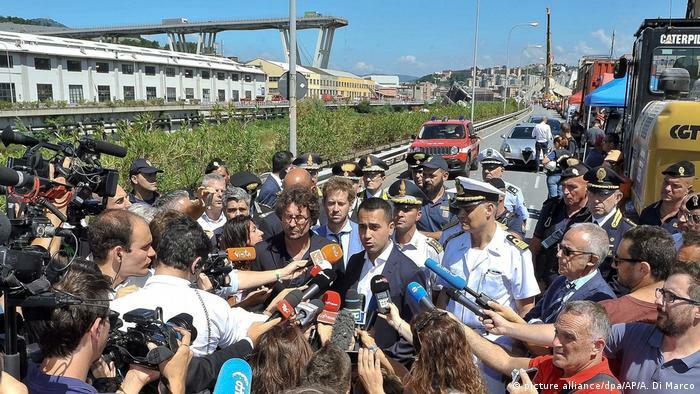 In the end, he refused to even a ship of the Italian coast guard, the “Diciotti”, the entrance to an Italian port. As the ship was able to create after massive criticism in Italy, then in Sicily, were not allowed to leave the migrants in the ship. Only after the EU member States, Albania, and the Catholic Church extorted promise to take care of the people, Matteo Salvini. His goal is “to leave no migrants” more to Italy, as he confirmed to Deutsche Welle in an Interview last Sunday. The EU in Brussels is irritated over the course of the populist government. Extortion is not a means of policy in the EU, it was said by the spokesman of the EU Commission. Matteo Salvini do they care. He presents himself as a songwriter and forges with the populists and the migration enemies in Hungary and Austria and new covenants. 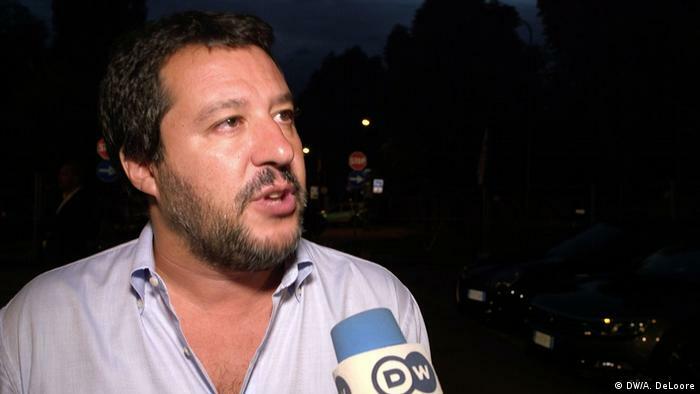 Favourable words found Salvini in the DW-Interview for the German government, the entry of Yes to be a redistribution of migrants from Italy to the Rest of the EU. In mid-July, Salvini, and the German interior Minister Horst Seehofer (CSU) agreed in Innsbruck to a new “Pact” for the defense of illegal migrants at the external borders. An announced agreement with Italy for the return of migrants to be rejected on the Bavarian border, but is not seen the light of day. In Italy Luigi di Maio tried to score points with his Agenda. He announced the withdrawal of the reforms, which had set the social-democratic predecessor government. The employment protection for Italian workers to be re-tightened. The number of fixed-term contracts should be reduced. 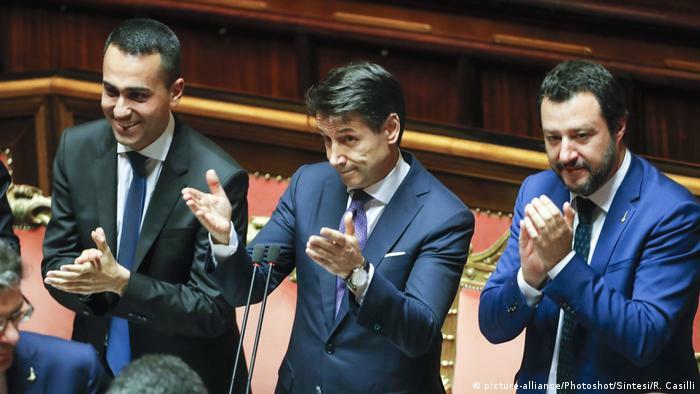 All the other promises, such as a basic income for all the poorer Italians, a radical tax reform with a flat tax rate, pension reform and the withdrawal of the announced VAT increase should be in the budget law for next year. This will be presented by the yellow-green coalition at the end of September. Details of this design are not yet known. The news Agency “Bloomberg” has calculated that the promise to add up to 100 billion euros. How exactly it will be financed, will show the budget, announced Matteo Salvini in the DW-Interview. He said Italy short-hand for regardless of the financial markets, but this is not true in reality. To Finance its high public debt of 130 percent of gross domestic product, Italy has to rely on private money lenders and banks. Five-star Chef Luigi di Maio noted that the deficit criteria of the European Union would, if necessary, complied with. The financial markets reacted to the statement with a rise in the price of Italian government debt. Meanwhile, the ambitious plans were toned down a little. Matteo Salvini said in another Interview, you had to do everything at once. The financial markets relaxed a little. And where the government is the boss? The newspaper “La Repubblica” speaks of a “flood of announcements” in the first 100 days, which would now need to be processed. With the addition of the collapse of the highway bridge at Genoa. This disaster and the failure of the state supervision previously has led to an intense debate about whether the privatized highways would have to be nationalized, and what costs might arise. The populist government rests also against the ailing steel company Ilva to the Indian-to sell the European company ArcelorMittal. If the state kicks in to save the company, is unclear. Giuseppe Conte was noticed in Brussels, mainly due to its demand to stop Migration to Italy. At a summit meeting in June, the Professor was that the EU announced the establishment of migration centres in Mediterranean countries and in North Africa. In concrete terms, nothing has happened yet. 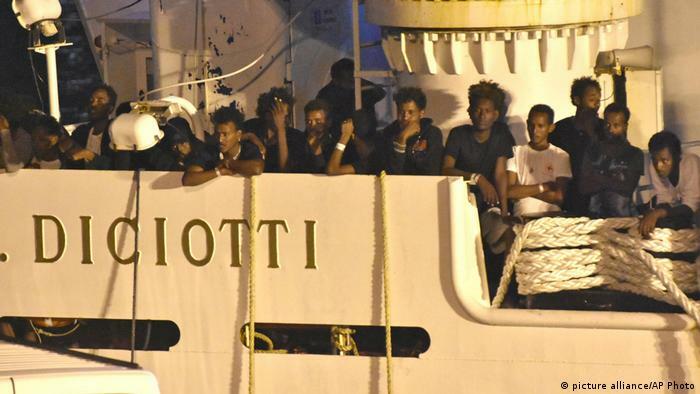 The EU has, however, set at the Insistence of Italy’s Maritime search and rescue off the Libyan coast and the Libyan government, which controls only a part of the country. Aid organisations, and the refugee Agency of the United Nations in this procedure are critical. The judgment of policy experts Maurizio Ferrara of the University of Milan at the approach of the yellow-and-green-wing populists in their first 100 days is not very flattering to me: “you actually had no idea how to govern, and were completely unprepared to work. So far, they have spent their time mainly in their choice to continue to struggle,” said Ferrara of the DW. The government in Rome sees itself as a government of change, the promised revolutions. At the end of September, when the budget of 2019, you will know more. Next articleAlan Kurdi, don’t forget!